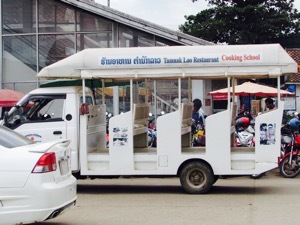 Tamnak Lao Restaurant, across the road from Villa Santi Hotel, also offers good cooking classes that also include a visit to the local Phosy Market. 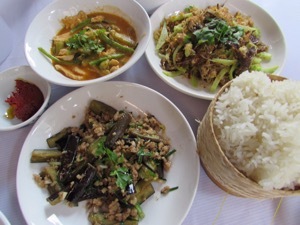 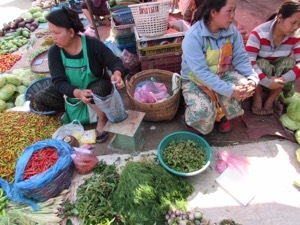 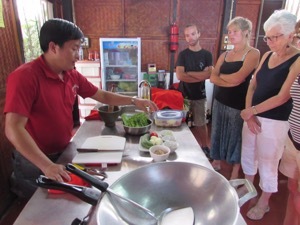 The main differences to Bamboo Tree Cooking Classes are that Tamnak Lao’s are run by men not women (so perhaps not as chatty) and Tamnak Lao offers has more opportunities for hands on preparation, whereas Bamboo Tree does much of the work for you. 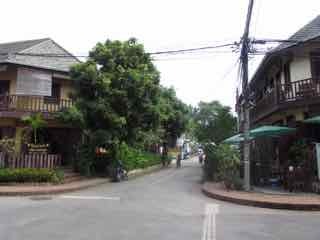 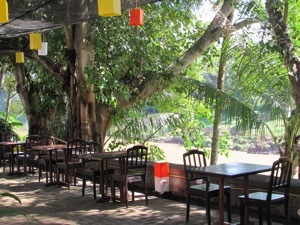 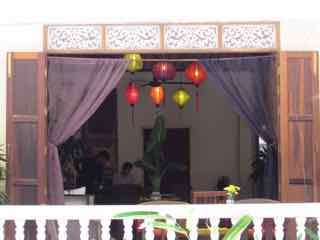 Bamboo Tree also has the lovely riverside tables to enjoy your meal afterwards, whereas Tamnak Lao’s tables are in a lane way. 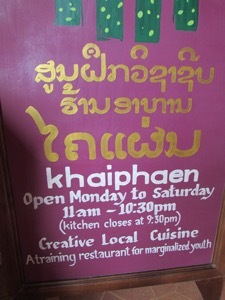 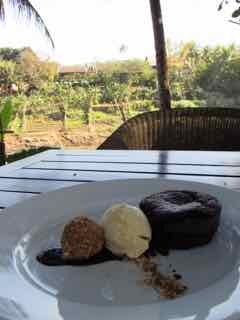 But the Tamarind Restaurant also runs classes that are well worth considering. 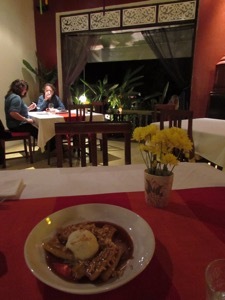 Tamarind has a particular interest in passing on Lao cuisine wisdom (and also the best sticky rice dessert ever). 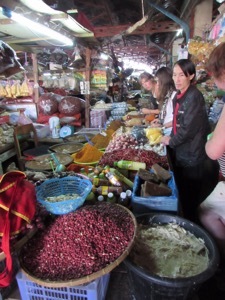 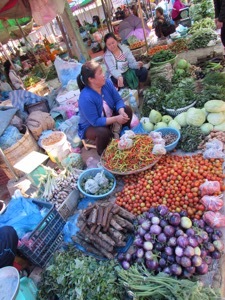 Tamarind’s classes fill quickly so book early. 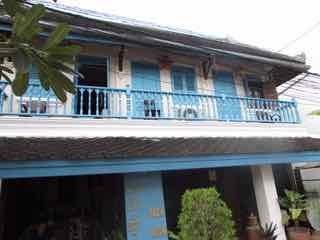 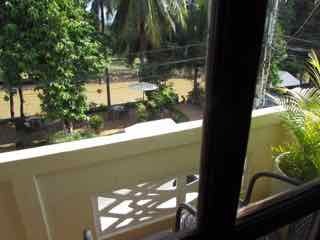 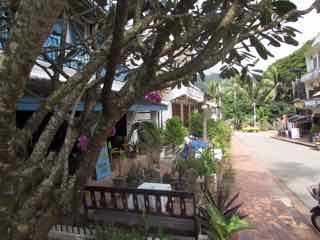 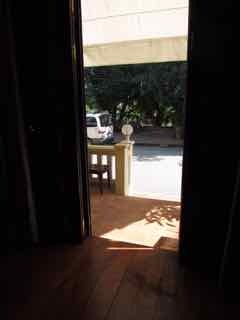 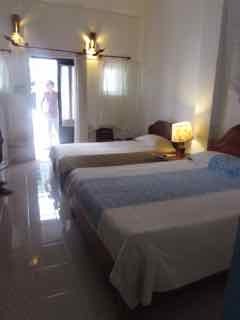 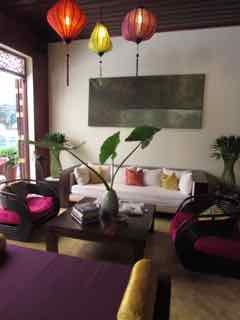 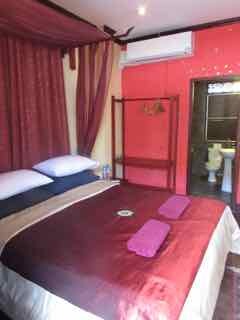 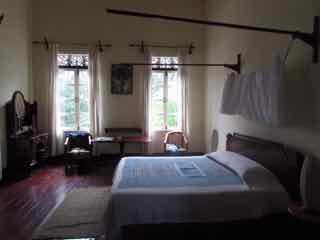 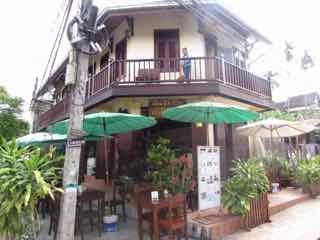 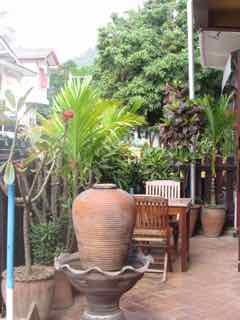 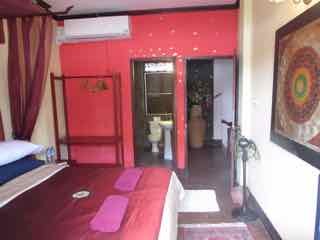 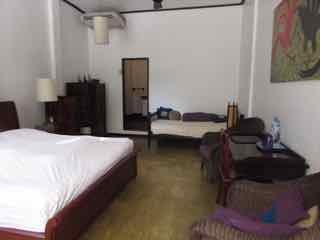 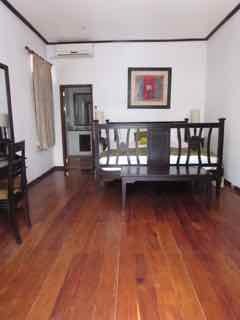 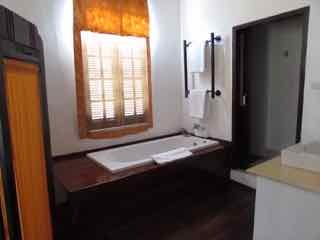 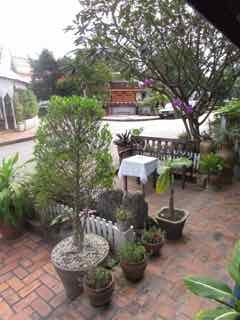 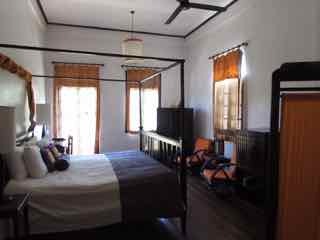 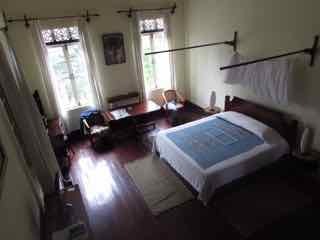 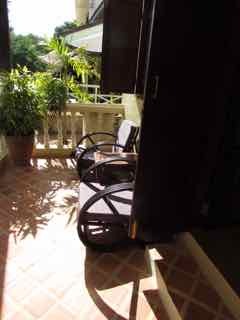 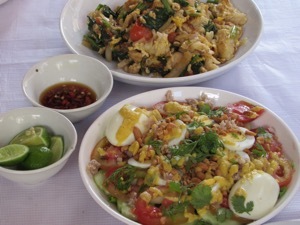 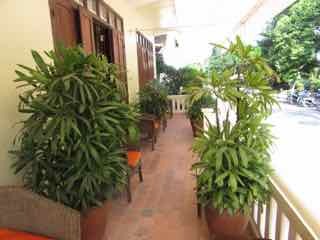 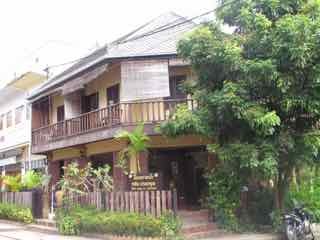 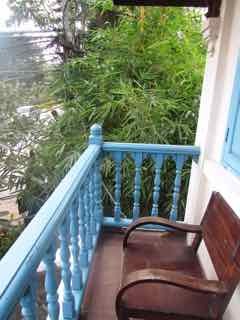 Sayo Guest House Xieng Mouane may not be the top guest house pick in Luang Prabang, but might be worth considering. 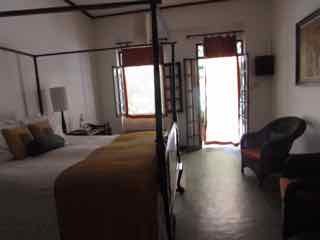 The upstairs double suites for $50-70 US are incredibly sapcious with another mezzanine bed included and large bathroom. 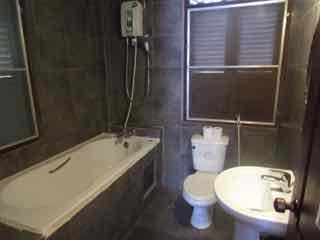 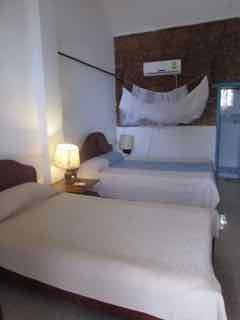 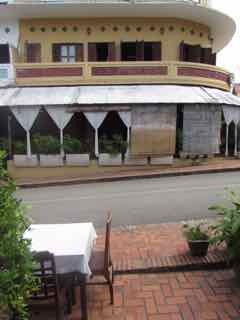 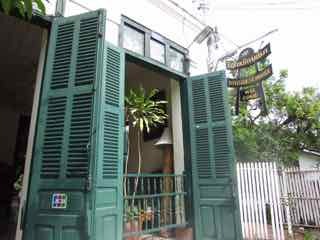 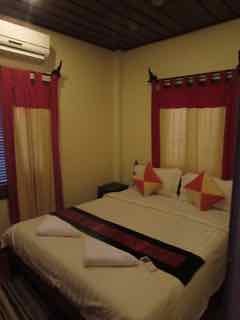 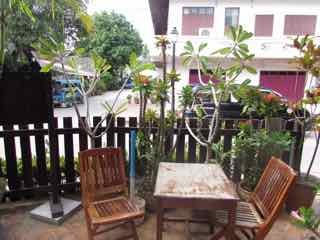 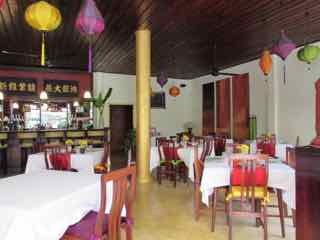 It also has a great location near to the Mekong River, the start of the night market and good restaurants like Cafe Touri and Kaiphen. 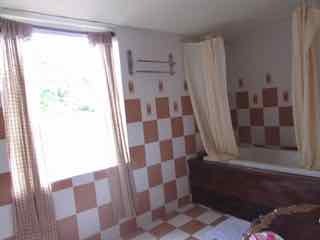 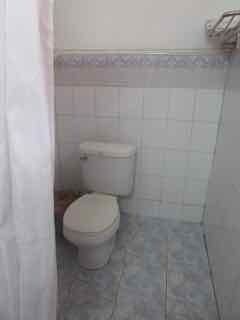 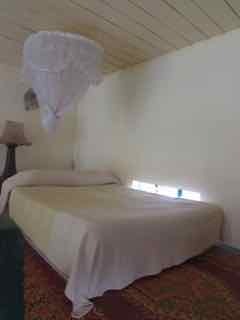 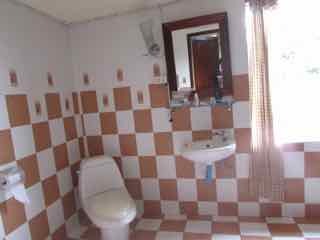 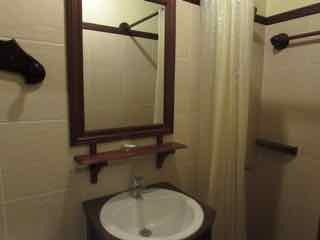 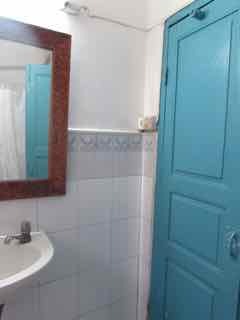 And the other end of the range are the downstairs double or twin standard/small rooms startting at $20 US. 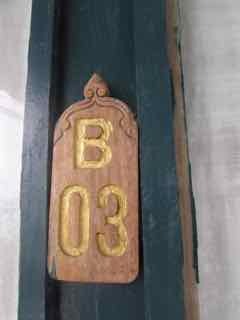 B3 is a standard twin for $25-35 US. 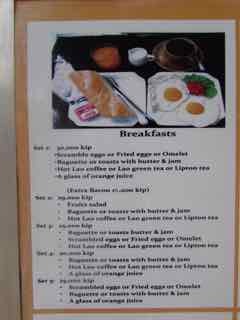 Breakfast is not included, but can be ordered separately and includes eggs cooked to order, ham/bacon, fruit salad, baguette with butter and jam, juice, tea and coffee. 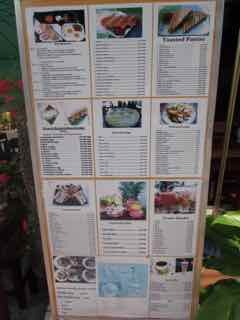 However the breakfast seating lacks charm and you might prefer to eat at one of the other eateries close by as it is not included in the price. 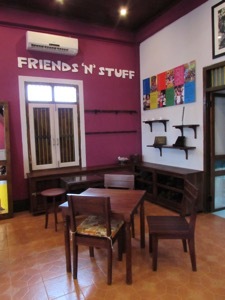 15% discount offered to groups. 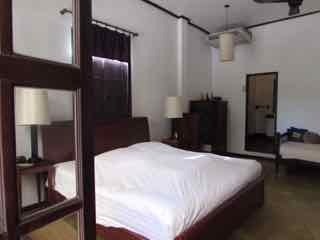 It has a good location near the night markets (which is where everyone generally ends up at night) and it is very close to good restaurants like Cafe Toui and the new friends International restaurant Khaiphaen, as well as the Mekong riverfront and Xiang Muane area. 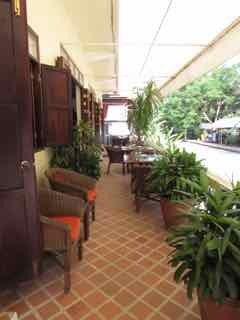 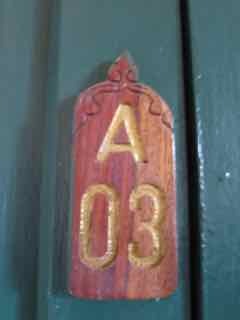 Room B1 is a good pick on the ground floor, nearest to the outdoor eating area. 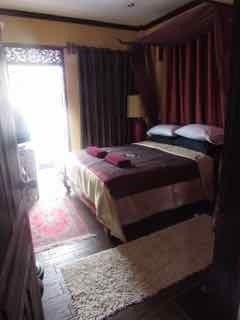 However, possibly a room upstairs would be more private and quieter. 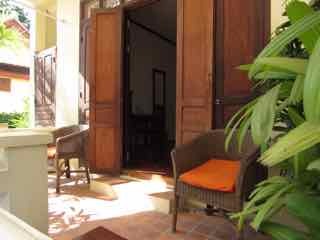 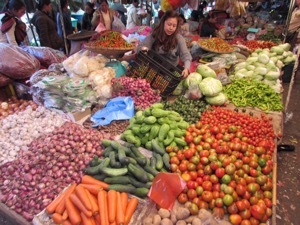 Breakfast is eggs, baguette, fruit, juice and coffee and is included in the price. 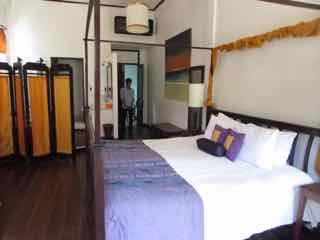 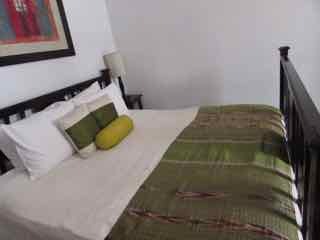 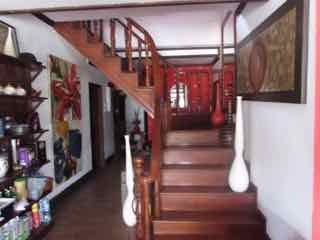 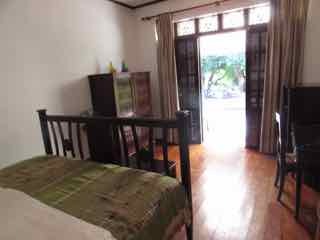 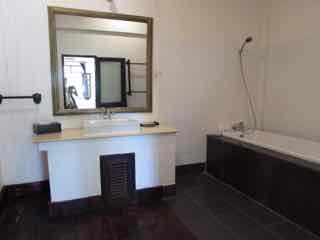 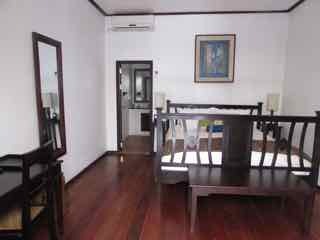 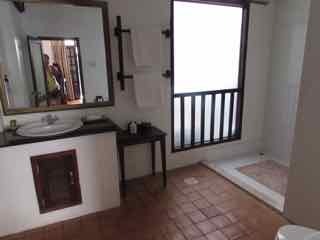 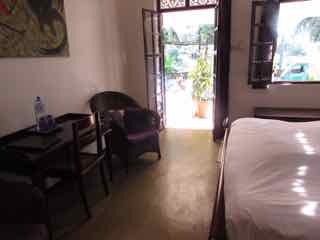 Villa Champa is well priced and located near the to the start of night market with some good restauants like Cafe Toui and the new Friends International restaurant Xiaphen close by as well the Mekong River for sunsets. 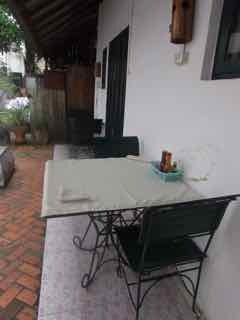 It doesn’t have a kitchen, but just across the road is a pretty cafe to sit outside and eat breakfast. 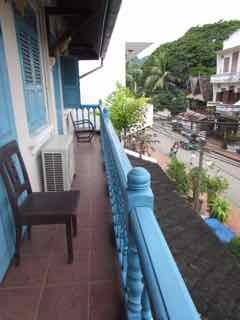 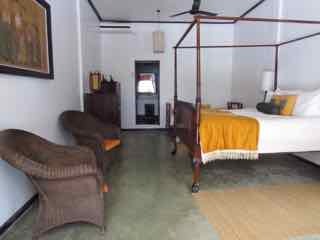 Rooms range from $US20 to $US56 a night and upstairs rooms have balconies.